April Fools’ Day may have passed without much notice this year, as it fell on a Saturday, but if you’re still itching to prank your friends or co-workers, the 12th Annual Send a Friend a Goat fundraiser is here. 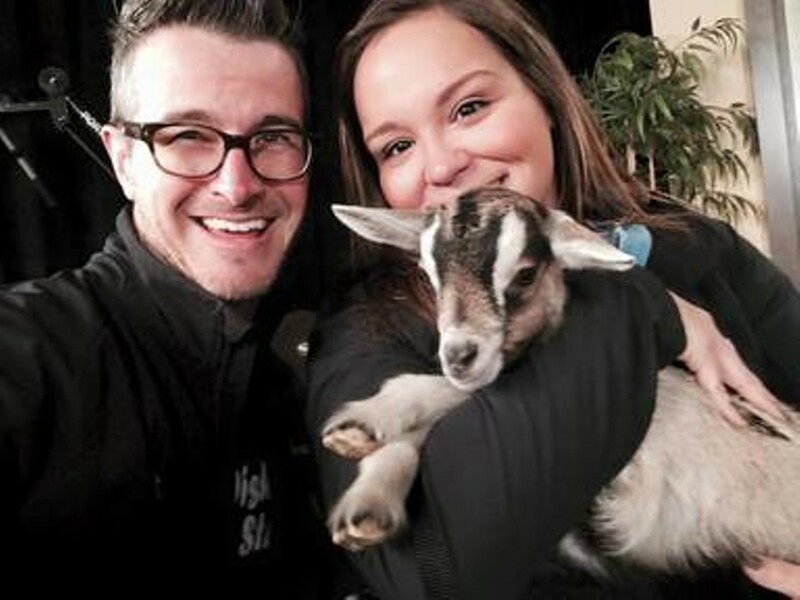 By making a donation of at least $50 (or recurring at $10 per month) to benefit the nonprofit Wishing Star Foundation, which grants wishes for children facing life-threatening medical conditions, volunteers will crash your chosen and unsuspecting recipient’s workplace with an adorable, two-to-six-week-old baby goat in tow. When the goating team stops by, they’ll playfully “threaten” your recipient by saying that they can’t send the baby goat away unless that person makes their own donation to Wishing Star. As you can imagine, this popular event is a major fundraising event for the regional nonprofit, and does an excellent job of bringing smiles and joy to all who get “goated.” Pranksters can sign up online to have a goat delivered to their recipient of choice.